History of the event is quite similar to that of Catalunya. 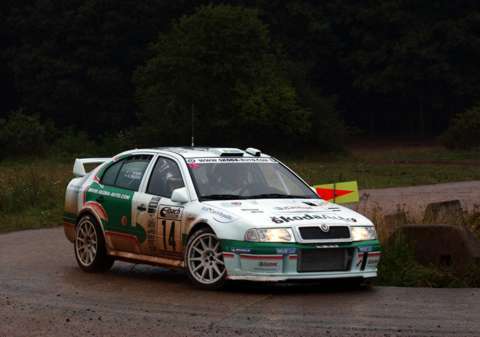 It was originally formed by combining three smaller events; the Deutschland, the Hunsbruck and the Saarland rallies. First run in 1982, event gained European championship status following year was promoted to top 20 co-efficient already in 1988. 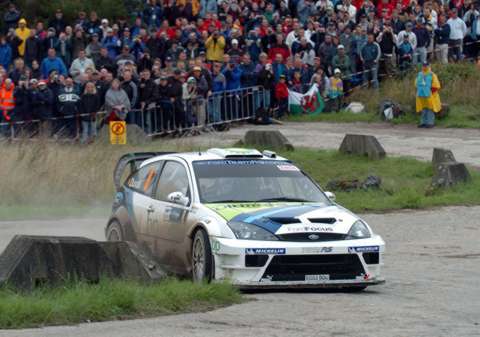 Officially, Rally Deutschland is an tarmac event. Majority of the surface is indeed what is generally known as asphalt or tarmac but curiously concrete makes up a significant portion of the route, too. Presence of concrete surface also marks another Rally Deutschland curiosity as this part of the rally takes place in an army tank training grounds at Baumholder complex, complete with Hinkelsteins, huge stones designed to stop armored vehicles. Apart from the military area, another portion of the stages are held in wineyard region of Mosel. These roads are typically narrow and dirty with plenty of tight corners. Even to a such degree that when Tommi Makinen's handbrake handle broke on a first corner of the first stage in 2002 rally, he was ready to give up whole event. More often than not it rains during the event, making stages extremely slippery. Typical wineyard stage, very narrow road with plenty of tricky, sharp corners. 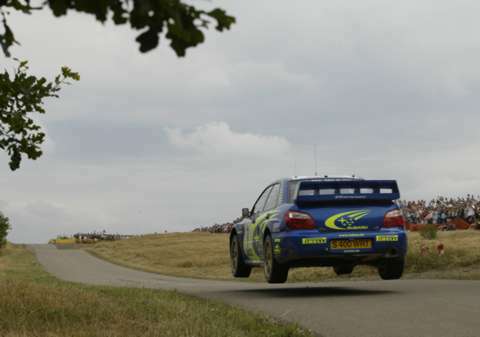 Faster sections are very fast indeed, here Solberg is flat out over small jumps. When (not if) rains fall the route turns muddy and grip is at premium and rally turns into a survival game. Two Hinkelsteins, designed to stop tanks and fatal for rally cars.